this is freakin awesome! i may not totally understand the lyrics though it really sounds like an international artist… great dude!!! make more like this… make your music known!! Hella dope…..you think you can send me the sheet music for this song? Hi Backick, I don’t have the sheet music. Is MIDI file ok? I just came across your video tonight and can’t stop watching all of your videos. 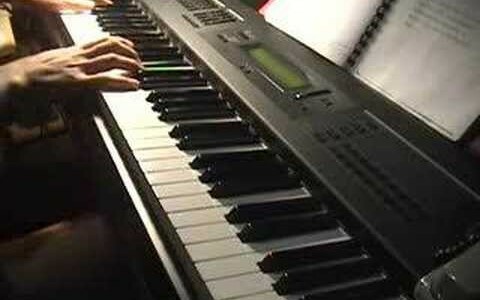 Your piano and voice are good. Hope to see more. wow~~ ur voice is good! !^__^ i must say i like it a lot..XD anyways,, i jz wonder if u could do an0ther david tao song~ that wud be cool~ keep it goin’! Thanks Shibaixue, I’ll do more David Tao’s song. do jiu shi ai ni please!! Where did you get the music sheet for this song? wow. i’m in love lolz!!! Can I have the midi too? I’ve been looking everywhere for it. @kclau77 can i get a copy of this midi file also? Great work btw! @kclau77 dear Kclau77, I would like to ask for sheet music, but could you share midi file to me? kindly ask for this. thank you indeed. Hi KC Lau, could you send me the MIDI file as well please? Thanks and great cover of it , love it!